Awesome intermediate species tarantulas with plenty of character. Anyone that follows me on Tom’s Big Spiders, Tumblr, or YouTube has probably picked up on my Phormictopus obsession. 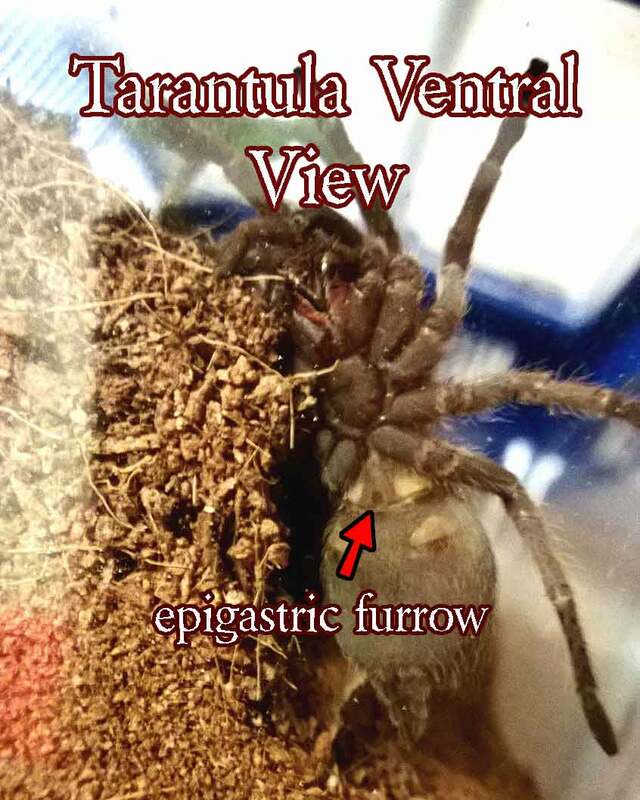 I currently keep seven different Phormictopus species, and I am attempting to acquire all the species and color variations available. These spiders have quickly risen to the top of my list of favorite terrestrials. and I’m looking very forward to some future breeding projects with them. 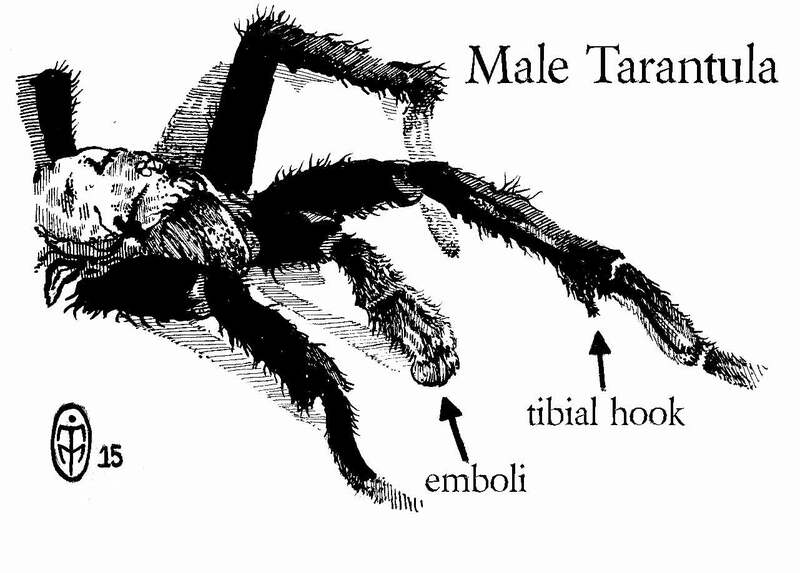 I first encountered this genus while perusing the Jamie’s Tarantulas website for something new and interesting. She had just listed some Phormictopus cancerides or “Hatian Brown” slings for sale, and something about them caught my eye. At this point, I had a much smaller collection, and the majority of the specimens I was keeping were the more docile beginner terrestrials. 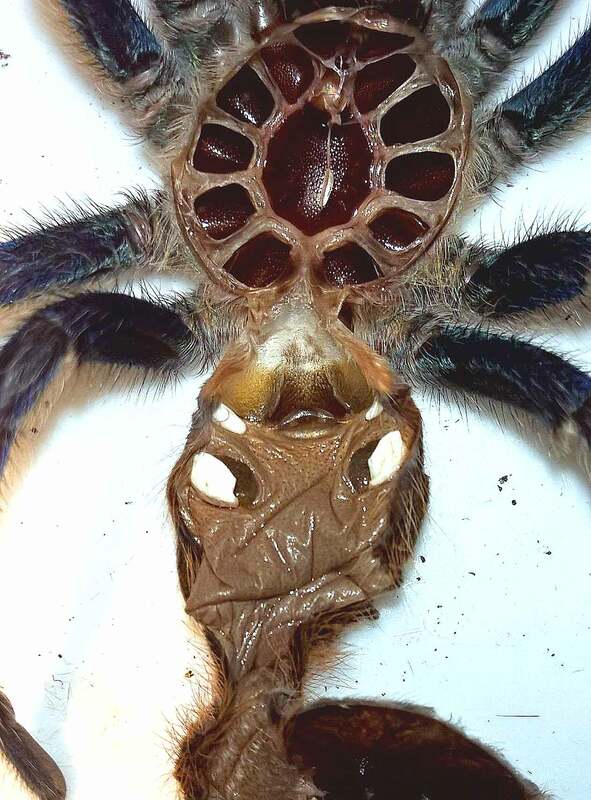 I decided to do some research, and I discoved that most described the P. cancerides as a large brown, ornery tarantula with a bad attitude. Large and brown? 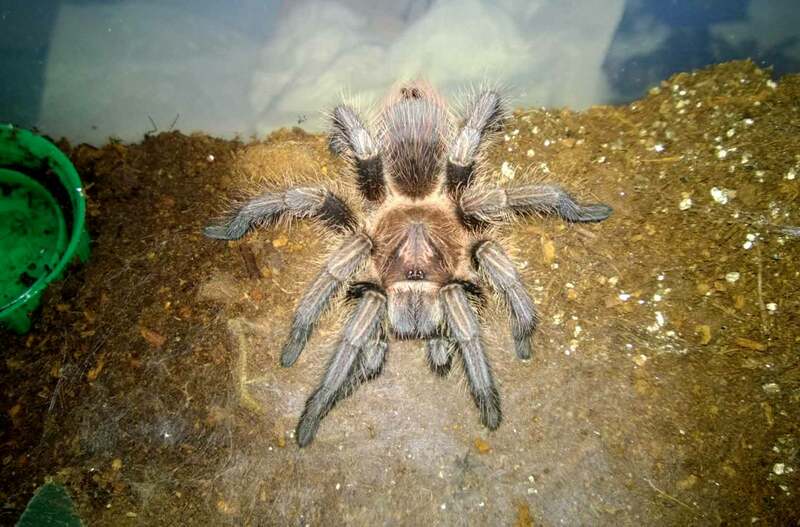 Having just acquired an A. versicolor and two C. cyaneopubescens, I was on the market for more colorful tarantulas. The idea of a “blah” brown spider didn’t quite appeal to me. Of course, after some investigating, I learned that males from this species were a gorgeous purple, and females were more a metallic bronze. This was far from just a big “brown” spider. Ornery with a bad attitude? THAT, on the other hand, caught my attention. Most of the Ts I kept were quite calm and well-behaved, and I felt that it was time for me to graduate to something a bit more spirited and “advanced”. The idea of a larger, more feisty spider appealed to me. It wasn’t that I necessarily wanted to add a giant eight-legged terror to the collection, but I felt I was ready for the challenge if this species turned out to be less than friendly. In my research, I also learned that this species apparently “required” moist substrate, which was a husbandry requirement that I hadn’t yet contended with. As I had my eye on some Asian terrestrials down the road, this would be a good stepping stone to keeping spiders with more complicated husbandry. After a week or so of research, I decided to pull the trigger and order two P. cancerides slings. When I unpacked them, I was immediately amazed by the color. 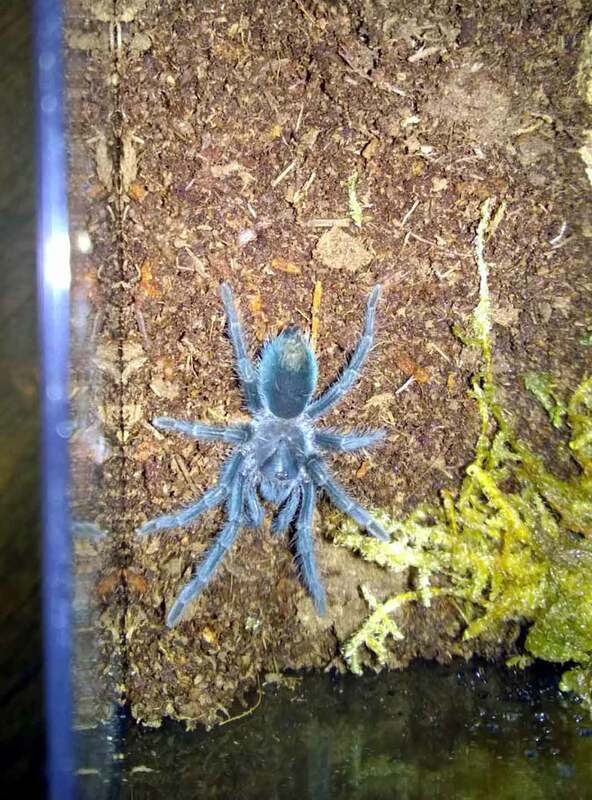 These two little 1.25″ slings sported a gorgeous a metallic blue sheen that looked nothing like the supposed “brown” tones sported by their adult counterparts. I rehoused each and, as is usually my habit, I offered each its first meal. And I instantly fell in love. I watched in awe as one of these gorgeous blue slings bolted across the enclosure and LEAPED on a cricket with so much force that it actually rolled over onto its back for a few seconds while it wrestled with the bug on top of it. I had never seen anything like it. I quickly fed the other and was delighted to discover a similar response. Since then, I’ve discovered that all of my Phormictopus species attack their prey with the same fervor, and it honestly never gets old to see one of these guys launch itself at a roach or cricket. 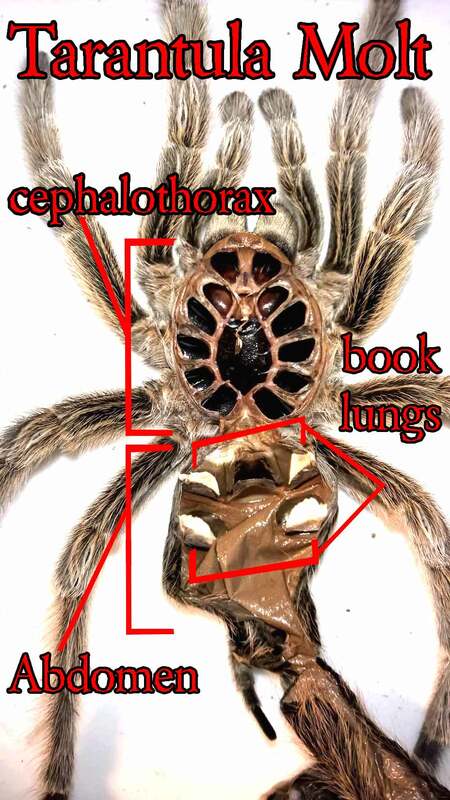 As slings, Phormictopus species do appreciate deep, moist substrate, and the majority will burrow if given the opportunity. 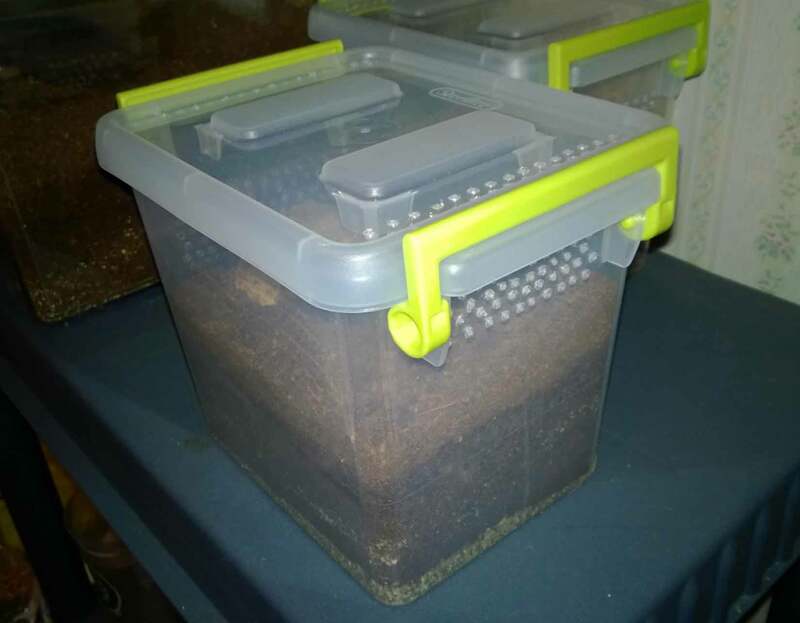 For substrate, I use a mix of topsoil, peat, and some vermiculite, and I keep it moist enough that it will hold its shape when squeezed but no water will drip out. As the spiders become established I let the top layers of the sub dry out a bit. This allows the T to burrow to the more moist depths to find the correct humidity level. If I need to add water, I’ll use the end of a paintbrush to carefully put some holes down the side of the enclosure and allow the water to filter down to the lower levels. As slings, these guys are voracious eaters. During this period I will feed them 2-3 times a week, depending on the size of the prey. Unlike other species, I’ve found that Phormictopus have no trouble taking down larger prey, so I will often give my little ones crickets that aren’t much smaller than they are. They have only ever refused a meal when in heavy premolt, and even then I had one eat just a couple days before molting. As I’ve stated in my other husbandry articles, my spiders are kept between 70-76° in the winter and about 75-80° in the summer. Although higher temps would obviously lead to faster metabolisms and growth, my Phormictopus species do very well in these ranges. 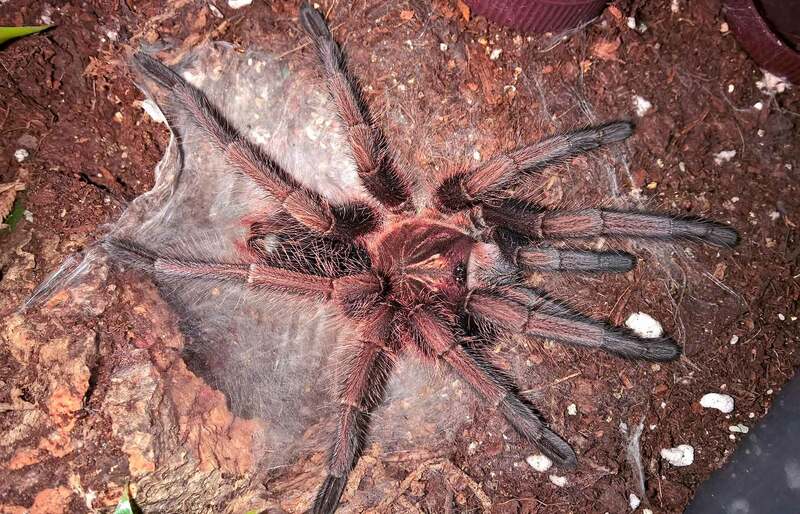 Not only is this a species that will molt very regularly (at one point, mine were molting about every 5-6 weeks as slings), but the amount of size they gain between molts is amazing. 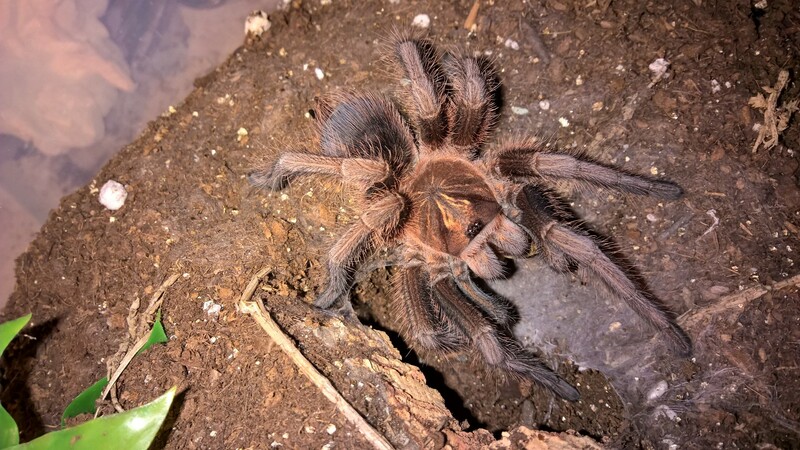 After keeping slow-growing Brachypelmas and Grammostolas for a while, I was floored when my P. cancerides slings first molted, putting on about .5″ of size as well as impressive girth. Although I started off with small slings, it didn’t take too many months or molts before I had large, hairy bronze spiders. In their first year, my 1.25″ P. cancerides slings reached about 3.5″ in size. Imagine the growth rate if they were kept at higher temps. 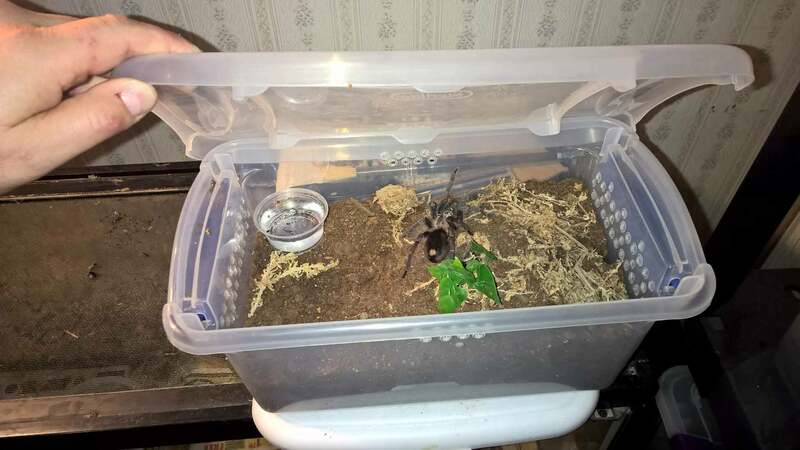 On the other hand, my 1″ Phormictopus sp. purple slings grew from about 1″ to a leggy 3.75″ (I’m sure the fact that I bought them closer to the summer had something to do with the slightly faster growth rate). 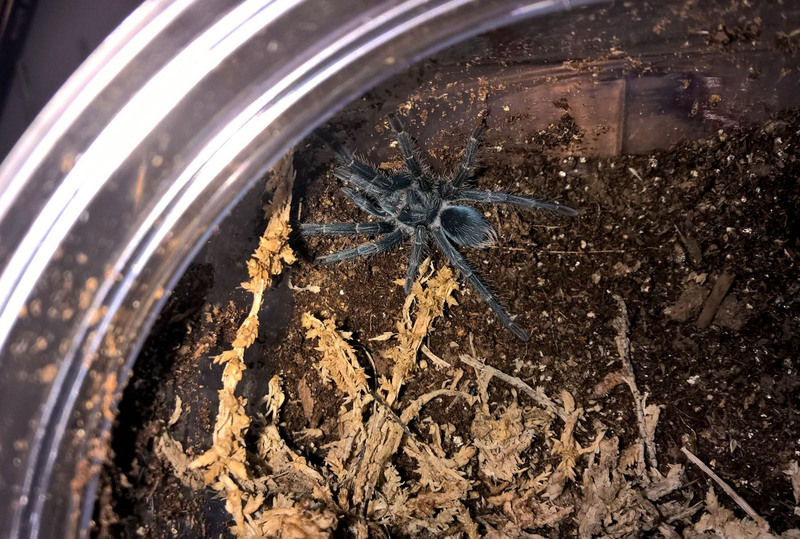 So far, my atrichomatus specimens, which I purchased in April as 1.25″ slings, are about 2.75″ or so. Once mine hit about 2.5″ or so, I slow down the feeding schedule. I currently feed my juveniles a large cricket every five days. For my sub-adult specimens, they get a couple large (1-1.5″) dubia roaches once a week or so. If I have extra large crickets, I’ll sometimes toss a couple in as well for variety. Due to the fast growth rate, I tend to house my Phormictopus species in larger enclosures than I would for other species. As slings, I usually use 2-quart clear plastic jars or the small Sterilite stackables containers (I believe it’s about 1.75 quarts or so). 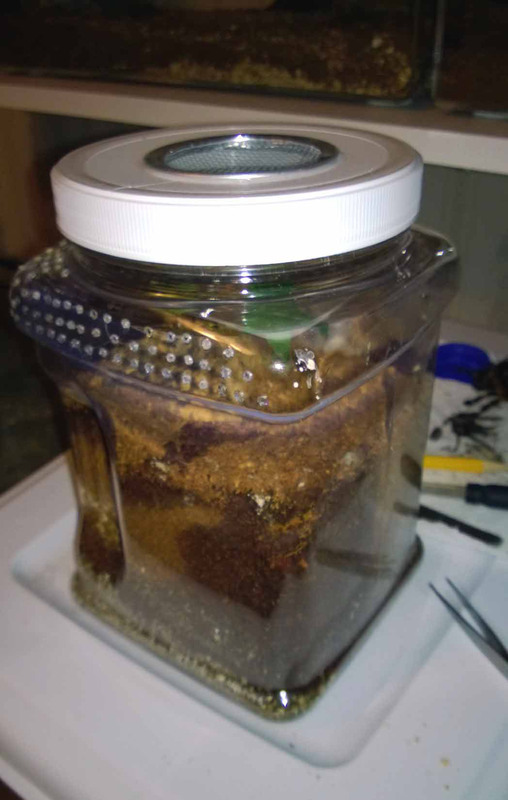 After filling them up with moist substrate, I supply them with a bottle cap water dish, a cork bark hide with a plant, and a starter burrow. Although enclosures this size might seem a little large at first for a 1″ sling, they grow fast and need a bit of extra space to eliminate the need for frequent rehousings. Trust me, they will quickly grow into their new homes. Once my guys reach about 2.5-3″ or so, I will move them to their juvenile enclosures. For these, I use Sterilite clear plastic shoeboxes and set them up more like a terrestrial. They’ll get about 3″ of moist substrate, a cork bark hide, and a water dish. I find that at this size, my Phormictopus have become more bold and will mostly hang out in the open. They no longer burrow, but will retreat to a hide if disturbed. My largest specimens (5″ or over) are currently housed in Sterilite 15-quart “ClearView” containers (purchased at the local Target). Once again, they are set up terrestrially with cork bark hide, water dish, and 3-4″ of damp substrate. Although a lot of the early care information I read about Phormictopus indicated that they needed to be kept moist, I’ve discovered that they do fine if the sub dries out a bit in between as long as they are provided water dishes. 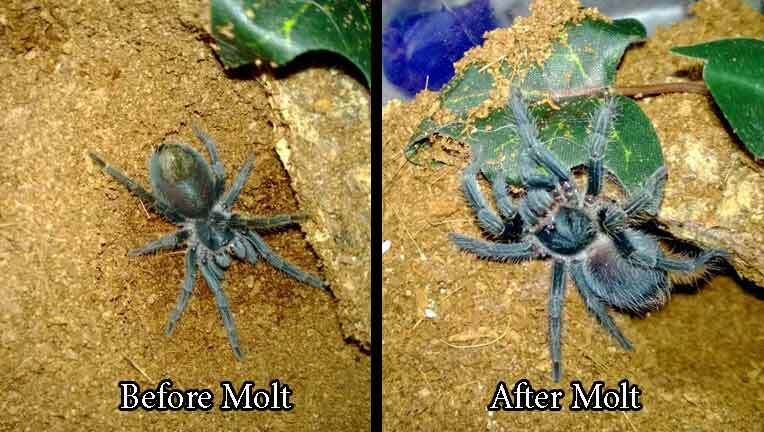 Although I start all of mine on moist sub, I let it dry out a bit and periodically moisten down part of the dirt when they are near a molt. I’ve noticed that they don’t seem to gravitate to this moist area, and are quite content to sit on the dry end. I will note that other keepers still make sure to keep their Phormictopus species moist at all times, and those interested in breeding are often much more careful in keeping the moisture levels up. However, unlike my Pamphobeteus and Theraphosa, I don’t obsess about it with these guys. If you buy one of these species and the enclosure dries up a bit, they will be fine as long as they have water. Phormictopus species have developed a bit of a reputation for being a bit ornery and defensive. I’ve found slings of this genus to be quite fast and skittish, often bolting around their enclosures or to their burrows if disturbed. As they gain some size, they become a bit more bold, often sitting out in the open when their enclosures are opened. Still, they can move quite quickly when motivated, and I’ve heard of instances where they are not reluctant to use their fangs. Out of the seven species I currently keep, I’ve only ever received a threat posture from my sp. purples; they seem to be a bit more high strung than my other species. Personally, I’ve found that if I’m careful not to disturb them when I perform maintenance or feed them, they are relatively calm when they get older. They also seem quite reluctant to kick hairs, which is a huge plus in my book. To date, only one has ever kicked hairs that I’ve witnessed. Still, these guys get pretty large, with some reaching 8″, and their amazing feeding responses often have them charging anything that enters their enclosure (including a keeper’s tongs or paint brush). Caution should be exercised whenever feeding or performing routine maintenance. A wonderful stepping stone to faster and feistier species. 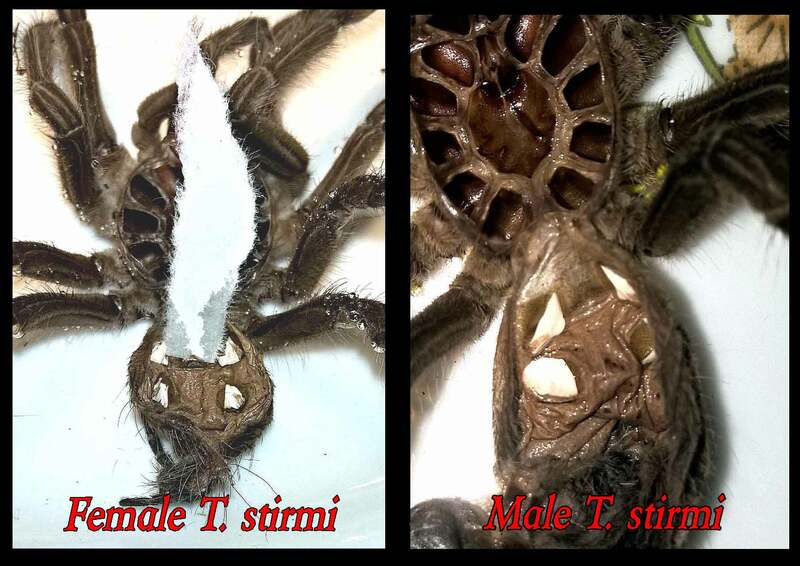 For those who have successfully kept some of the beginner species and are looking to graduate to faster, more defensive intermediate species would do well to check out some of the spiders the Phormictopus genus has to offer. 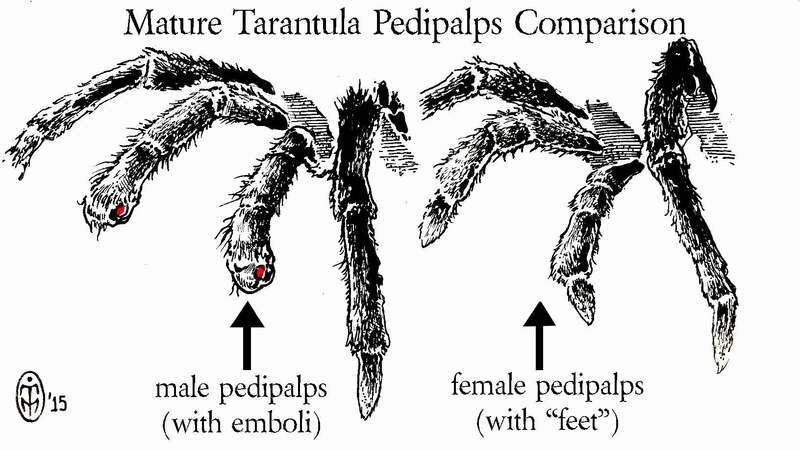 These are large, hardy, fast-growing tarantulas with relatively simple husbandry that are very similar to the super-popular Pamphobeteus species in terms of build and temperament. It’s also worth mentioning that males of these species are often quite colorful, with some sporting beautiful purples and blues after their ultimate molts. 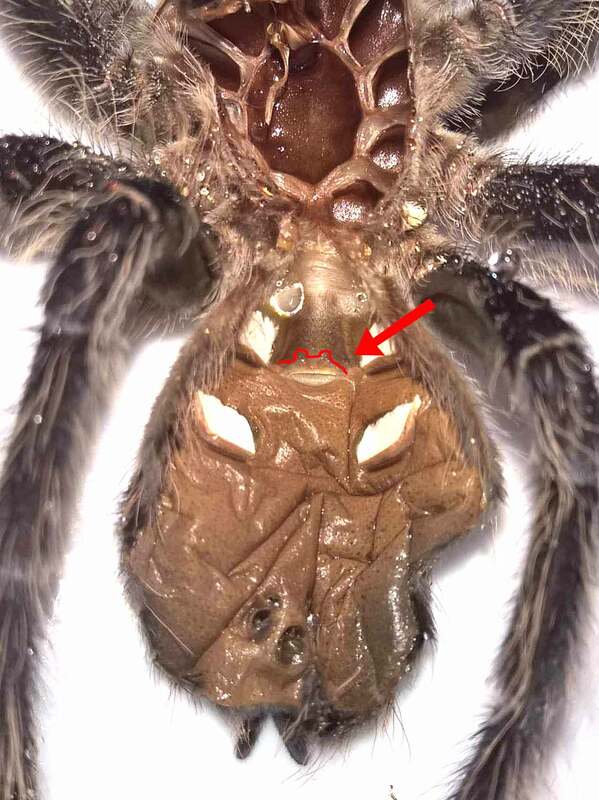 This makes discovering that your spider is a male quite a rewarding experience…after all, who doesn’t like purple spiders?